High concentrations of heavy metals, like copper and gold, are toxic for most living creatures. This is not the case for the bacterium C. metallidurans, which has found a way to extract valuable trace elements from a compound of heavy metals without poisoning itself. One interesting side-effect: the formation of tiny gold nuggets. A team of researchers from Martin Luther University Halle-Wittenberg (MLU), the Technical University of Munich (TUM) and the University of Adelaide in Australia has discovered the molecular processes that take place inside the bacteria. The group presented their findings in the renowned journal "Metallomics" published by the Royal Society of Chemistry. 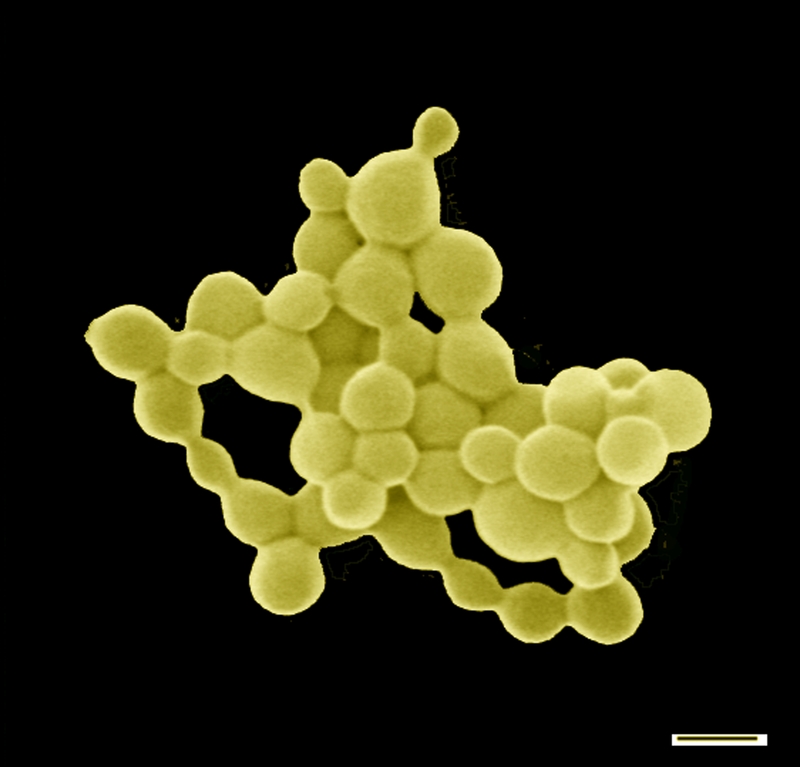 The rod-shaped bacterium C. metallidurans primarily lives in soils that are enriched with numerous heavy metals. Over time some minerals break down in the soil and release toxic heavy metals and hydrogen into their environment. "Apart from the toxic heavy metals, living conditions in these soils are not bad. There is enough hydrogen to conserve energy and nearly no competition. If an organism chooses to survive here, it has to find a way to protect itself from these toxic substances," explains Professor Dietrich H. Nies, a microbiologist at MLU. Together with his Australian counterpart, Professor Frank Reith from the University of Adelaide, he was able to prove in 2009 that C. metallidurans is able to deposit gold biologically. Why it does this and the exact processes that take place remained unknown. Now the researchers have finally been able to solve the mystery. When too much copper has accumulated inside the bacteria, it is normally pumped out by the enzyme CupA. "However, when gold compounds are also present, the enzyme is supressed and the toxic copper and gold compounds remain inside the cell. Copper and gold combined are actually more toxic than when they appear on their own," says Dietrich H. Nies. To solve this problem, the bacteria activate another enzyme - CopA. This enzyme transforms the copper and gold compounds into their originally difficult to absorb forms. "This assures that fewer copper and gold compounds enter the cellular interior. The bacterium is poisoned less and the enzyme that pumps out the copper can dispose of the excess copper unimpeded. 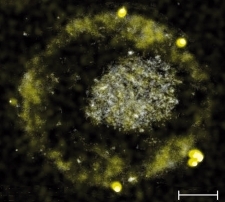 Another consequence: the gold compounds that are difficult to absorb transform in the outer area of the cell into harmless gold nuggets only a few nanometres in size," says Nies.